Included in the total of 1870 are 23 Indians, and 20 in that of 1860. Of the total population in 1870, 165,721 were males and 164,830 females; 283,396 were native and 47,155 foreign born. Of those of native birth, 243,272 were born in the state, 9,202 in Massachusetts, 13,540 in New Hampshire, and 11,297 in New York. Of the foreigners, 28,544 were born in British America, 1,946 in England, 14,080 in Ireland, and 1,240 in Scotland. The density of population was 3237 persons to a square mile. There were 70,462 families, with an average of 4.69 persons to each, and 66,145 dwellings, with an average of 5 to each. Between 1860 and 1870 there was an increase of 4.90 per cent, in the total population. There were 89,831 persons from 5 to 18 years of age, 62,459 males from 18 to 45, and 74,867 male citizens 21 years old and upward. There were 15,185 persons 10 years of age and over unable to read, and 17,706 who could not write, of whom 13,804 were foreign born. The number of illiterates 21 years old and over was 13,394. The number of paupers supported during the year ending June 1, 1870, was 2,008, at a cost of $178,628. Of the number (1,785) receiving support at that date, 523 were foreigners. The number of persons convicted of crime during the year was 139, and there were 193 in prison at the close of the year. The state contained 189 blind, 148 deaf and dumb, 721 insane, and 325 idiotic. Of the total population (258,751) 10 years of age and over, there were engaged in all occupations 108,763; in agriculture 57,983, of whom 23,692 were laborers and 34,144 farmers; in professional and personal services, 21,032, including 591 clergymen, 9,588 domestic servants, 6,426 laborers, 72 lawyers, 569 physicians and surgeons, and 1,895 teachers; in trade and transportation, 7,132; and in manufactures and mechanical and mining industries, 22,616. The total number of deaths was 3,545, or 1.07 per cent, of the population. There were 715 deaths from consumption, there being 5 deaths from all causes to one from that disease; from pneumonia, 225 deaths, or 15.8 deaths from all causes to one from that disease; cholera infantum, 105; diphtheria and scarlet fever, 115; enteric fever, 221; dysentery, 103. - The surface of the state is greatly diversified by hills and valleys, gentle acclivities, elevated plateaus, and mountains of considerable height. The Green mountain range extends through the state from its S. line in a northerly direction to the vicinity of lat. 44°, where it divides into two chains, one of which continues N. by E. to the Canada line, while the other turning N. E. extends to the New Hampshire line, where it joins that of Canada. (See Green Mountains.) These mountains are not generally granitic, and their rounded grassy summits offer a striking contrast to the lofty, bare, and jagged peaks of the White mountains. There are considerable quantities of cultivated land at an elevation of 2,000 to 2,500 ft. above tide water. - The E. part of the state is drained by the affluents of the Connecticut; the most important of these are the Passumpsic, Wells, White, Black, West, and Deerfield rivers, the last named lying chiefly in Massachusetts. The Connecticut itself, forming the entire boundary line between Vermont and New Hampshire, belongs wholly to the latter state. The streams on the W. side of the state discharge their waters into Lake Champlain; the most important are Otter creek, Winooski or Onion river, a beautiful stream with abundant water power, and the Lamoille and Missisquoi rivers. Two or three small streams fall into Lake Memphremagog on the Canada border, the S. part of which is in the state. There are numerous small lakes, the principal of which are Lakes Willoughby, Maklstone, Seymour, Dunmore, Austin, and Bombazine. Long pond, or as it is now commonly called "Runaway pond," was formerly situated between two hills on the height of land dividing the watershed in the towns of Glover and Greensborough, and was one of the sources of the Lamoille river. In June, 1810, an attempt was made to open an outlet from it to Barton river on the north, when all the water of the pond, which was l½ m. long and ½ m. wide, tore its way through the quicksand, which was only separated by a thin stratum of clay from the pond, and advanced in a wall from 60 to 70 ft. high and 20 rods wide, carrying everything before it, reaching Lake Memphremagog, 27 m. distant, in about six hours. There are several islands in Lake Champlain and one or two in Lake Memphremagog belonging to the state; the largest are North and South Hero and Isle la Motte in Lake Champlain, which with the peninsula of Alburg constitute Grand Isle co. The only considerable harbor is that of Burlington, on Lake Champlain. - The geological formations of Vermont consist chiefly of the lower groups of the geological column comprised in the azoic and Silurian divisions. The Devonian formation is represented by a band of limestone about a mile wide and 20 or 30 m. long on the E. side of the Green mountains. The drift formation overspreads the whole state, and alluvial deposits of limited extent are met with along the banks of the rivers. The lower formations are all of uncertain age, owing to the metamorphic character of the rocks, their doubtful stratigraphical relations, and their dearth of fossils. Their determination has been an interesting subject of investigation. The Green mountain range is composed chiefly of gneiss, which may be the oldest rock in Vermont, or may prove to be of Silurian or Devonian age, or both in a metamorphic condition. Should this prove to be anticlinal, the group will then pass on each side under rocks of later age; but if its structure is synclinal, it then overlies the rocks on either side; so far it has been found impracticable to determine this question. Along the W. base of the Green mountains extends a great belt of quartz rock, which in the opinion of the surveyors rests upon the gneiss, and which has been supposed to be the equivalent of the Potsdam sandstone, though now regarded by the Vermont surveyors as of the age of the Medina sandstone of the Clinton group of New York. Apparently overlying this is a great bed of crystalline limestone 2,000 ft. thick called the Eolian limestone, from Mt. Eolus in the S. W. part of the state. This has been generally referred to the lower Silurian group, but its true position in the geological series is very doubtful. The rock constitutes the principal portion of several ranges of mountains in the S. part of the state. Along Lake Champlain the rocks are lower Silurian and primordial, slates found in the town of Georgia being referred to the latter system on the evidence of trilobites discovered in them. The Laurentian group is represented in a small exposure near Whitehall at the S. extremity of Lake Champlain. - Various mineral productions of value are found in connection with the ancient formations of this state. The talcose slates and quartz rocks, as throughout the whole range of the Appalachian chain, present numerous deposits of hematite iron ore. The same formation has also furnished productive mines of manganese at Chittenden; and at Plymouth and several other places it has produced gold. Lead ores, more or less argentiferous, have been found at several localities along this range, but have not proved profitable. At Vershire and Corinth, Orange co., is a large vein of pyritous copper ore. In the serpentine rocks about Troy, in the extreme north, chromic iron has been met with in considerable quantity. Excellent clay for white stone ware has been worked for the pottery at Bennington, and beds of soapstone are found in many towns along the central N. and S. line of the state. Vermont is rich in marble and slate. Marble was first quarried at Rutland in 1844, and the quarries there now supply about half of the production of Vermont. The marbles obtained are the white statuary and the variegated, mottled, and blue. The proportion of white is larger than in any other part of the state; it is not inferior to the best Italian. The Sutherland Falls and East Dorset quarries produce marble resembling the veined Italian. The Swanton and Isle la Motte marble when polished is jet black. The Lake Champlain quarries produce marble resembling brocatella. Winooski yields fine Siena and other grades of pale red and white. There are valuable slate quarries in Rutland, "Washington, and "Windham counties. The first quarry was opened at Fairhaven, Rutland co., in 1845. For many years the production was inconsiderable; but this industry has now become important in consequence of the increased demand for roofing slates, floors, tiles, etc. In 1875 the production was valued at $370,000, being chiefly from the Fairhaven quarries. - The state abounds in beautiful waterfalls and other natural curiosities. The most remarkable, besides Bellows falls in the Connecticut, adjoining a village of the same name in the town of Rockingham, but belonging to New Hampshire, are the "Great falls " on the Lamoille in Milton; the McConnel's falls, and the natural bridge a little below them, in Johnson; the " Great falls " on the Clvde in Charleston, where there is a descent of 100 ft. in 40 rods; the numerous falls on the "Winooski, with its natural bridge and caverns in Duxbury; the magnificent fall of 70 ft. in the Missisquoi at Troy, and the gentler one at Highgate; the falls in the Passumpsic at Lyndon; the falls in the Black river at Springfield; and the caves at Dorset and Plymouth. - The climate of Vermont is severe, and the winters are cold; but there are not many sudden changes, and the state is remarkably healthful. Observations at Lunenburg (lat. 44° 28', lon. 71° 41', elevation 1,210 ft.) show the following average means for 25 years: January, 16.54°; February, 17-38°; March, 26°; April, 37.86°; May, 52.18°; June, 65.05°; July, 68.39°; August, 65.82°; September, 56.31°; October, 44.51°; November, 31.38°; December, 19.14°; year, 41.72°; annual rainfall and melted snow, 41.11 inches; snow, 83.1 inches. - The soil is generally a rich loam, most fertile where the underlying rock is limestone. The forest trees are hemlock, fir, and spruce on the mountains, oak, beech, sugar maple, pine, hickory, elm, butternut, basswood, and birch on the lower lands, and cedar in the swamps. The mountains are generally covered with timber or afford good pasturage, and the proportion of unimprovable land is smaller than in some less mountainous states. As a large proportion of the land is better adapted to grazing than to tillage, much attention has been given to the raising of live stock, and the horses, cattle, sheep, and swine of Vermont are of excellent quality. The wild animals are the panther, wild cat, lynx, raccoon, wolf, fox, moose (found only in the extreme north of the state, and scarce even there), elk, deer, black bear, and rabbits and squirrels of several species. The birds are those of New England generally, but the northern aquatic birds appear in large numbers and early in the season on Lake Champlain. The lake yields large quantities and numerous varieties of fish. The muscalonge is the largest, and the lake white fish, salmon trout, pickerel, roach, perch, and other smaller fish are abundant. The proteus, an uncommon reptile in northern waters, is found there in considerable numbers. In 1870 the production of hay was 1,020,669 tons; wool, 3,102,137 lbs. ; potatoes, 5,157,524 bushels; butter, 17,844,396 lbs. ; cheese (on farms), 4,830,700 lbs. ; hops, 527,927 lbs. ; maple sugar, 8,894,302 lbs. ; maple molasses, 12,023 gallons; honey, 142,932 lbs. In the production of these articles Vermont holds a high rank among the states of the Union. - Practical measures have been taken by the state for the promotion of pisciculture. This industry is under the supervision of two commissioners, who have deposited large numbers of shad, salmon, and other varieties of fish in the waters of the state. There are in the state 145 natural ponds of 50 acres and upward, covering in the aggregate 77,315 acres. These are now inhabited by varieties of fish almost worthless, such as pickerel, bream (sunfish), suckers, and dace; it is proposed to stock them with trout, salmon, whitensh, etc. The total number of manufacturing establishments in 1870 was 3,270, having 186 steam engines of 6,425 horse power and 1,984 water wheels of 44,897 horse power, and employing 18,686 hands, of whom 16,301 were males above 16 years of age, 1,872 females above 15, and 513 youth. CHARACTER OF MARBLE AND WHERE PRODUCED. A considerable foreign commerce is carried on with Canada through Burlington, which is the port of entry of the United States customs district of Vermont. The value of imports for the year ending June 30,1875, was $2,631,748; of exports, $2,496,830. There were entered in the foreign trade 728 vessels of 97,778 tons; cleared, 690 vessels of 95,120 tons. The total number of vessels registered, enrolled, and licensed was 23, of 4,631 tons. - In 1850 there were but two railroads in Vermont: the Champlain and Connecticut River (now the Rutland), extending from Bellows Falls to Burlington by way of Rutland, and the Vermont Central, from the Connecticut river, in the town of Windsor, to Burlington. The former was opened for travel in December, 1849, and the latter in January, 1850. The total extent of railroads in the state amounted to 554 m. in 1860, 614 m. in 1870, and 765 m, in 1876. About $35,000,000 has been expended in the construction of railroads in the state, besides the equipment of the roads and other personal property, which make the aggregate about $50,000,000. Nearly the whole of this amount is exempt from taxation. The Addison, Harlem Extension, Missisquoi, Rutland, Vermont and Canada, Vermont and Massachusetts, Vermont Central, and Vermont Valley are all operated by the Central Vermont railroad company. - On Nov. 1, 1875, there were in the state 46 national banks, with a paid-in capital of $8,945,390; circulation issued, $13,702,250; outstanding, $7,178,581; 20 savings banks, with 27,677 depositors and deposits amounting to $7,590,599; and 6 fire and 3 life insurance companies incorporated by Vermont. - The legislative power is vested in a general assembly, consisting of a senate of 30 members and a house of 241 representatives, one from each town. The sessions of the general assembly are biennial, beginning on the first Wednesday of October in even years. Each of the 14 counties is entitled to one senator at least, and the remainder of the senators are apportioned among the several counties according to the population as returned by the latest federal census. Senators and representatives are chosen for two years, and receive $3 a day each during the session. The chief executive officers are the governor (annual salary, $1,000), lieutenant governor, who acts as president of the senate and receives $6 a day during the session, secretary of state, treasurer, auditor, and superintendent of education, who each receive $1,500 a year. The governor's power of appointment is very limited, usually extending merely to his secretary and military staff; but he may fill a vacancy until the office is provided for in the manner prescribed by law. He is empowered to nominate, subject to approval by the senate, six members of the state board of agriculture, manufactures, and mining. The governor, lieutenant governor, and treasurer are elected for two years by the freemen of the state; the secretary of state, auditor, and superintendent of education are chosen by the legislature. The other state officers comprise an inspector of finance, savings banks, and trust companies, a railroad commissioner, a commissioner of the insane, two commissioners of insurance and two of fisheries, a superintendent of the state prison, a superintendent of the reform school, a state librarian, a geologist and curator of the state cabinet, an adjutant and inspector general, a quartermaster general, a judge advocate general, and a surgeon general. The supreme court comprises a chief and six associate justices, each of whom receives an annual salary of $2,500. A general session of the court is held annually at Montpelier, and annual sessions are held in each county. County courts are held by a judge of the supreme court with the two assistant county judges. United States courts are held in Burlington, Windsor, and Rutland. Judges of the supreme court are chosen for two years by joint ballot of the legislature. County and probate judges, sheriffs, state attorneys, and high bailiffs are elected for two years by the freemen of the counties, and justices of the peace by the freemen of the towns for the same term. The general election for state officers and members of the legislature is held biennially, on the first Tuesday of September in even years. Every man of the age of 21 years, who is a natural-born or naturalized citizen of the United States and has resided for one year in the state, and is of quiet and peaceable behavior, becomes entitled to the privileges of a freeman upon oath or affirmation that in voting he will, according to his judgment, aim to promote the good of the state. Town meetings are held in March of each year. For the rights of married women concerning their property and earnings, see Husband and Wife, vol. ix., p. 87. For the grounds of divorce, see Divorce, vol. vi., p. 160. Vermont is represented in congress by two senators and three representatives, and has therefore five votes in the electoral college. The total liabilities of the state on Aug. 1, 1875, amounted to $328,584, including the funded debt of $167,500, of which $102,000 will fall due on Dec. 1, 1876, and $65,500 on Dec. 1, 1878; the agricultural college fund of $135,500; due to towns from the United States surplus fund, $11,520; soldiers' accounts, $12,178; outstanding checks, $1,886. The resources were $324,940, including $320,377 cash in treasury and in banks, and $4,563 taxes due from 11 towns. Exclusive of the sinking fund account, the receipts into the treasury during the year ending July 31, 1875, were $500,656, and the disbursements $510,230. The valuation of real estate in 1875 was $81,106,760, which is about 40 per cent, of the real value, estimated at $200,000,000. The grand list of the state is 1 per cent, of the valuation. In 1872 the state tax was 40 per cent, on the grand list of $1,171,619; in 1873 it was 35 per cent, on the grand list of $1,175,476. Adding the tax on gores and unorganized towns, and deducting for abatements and collection fees, the amount of the tax was $448,408 in 1872, and $393,660 in 1873. According to the federal census of 1870, the assessed value of property was $102,548,528, including real estate returned at $80,993,100 and personal at $21,555,428. The true valuation of real and personal estate was returned at $235,349,553. - The state asylum for the insane, opened in 1836, is at Brattleboro, on a beautiful site of 20 acres. It has accommodations for from 450 to 500 patients. During the two years ending Aug. 1, 1874, the total number of inmates was 699, of whom 245 were state beneficiaries; average number, 473; discharged, 172, of whom 48 were recovered, 87 improved, and 37 stationary; died, 37; remaining, Aug. 1, 1874, 471, of whom 163 were state beneficiaries. The expenses of the institution during the two years amounted to $213,929, of which $56,214 was for building account, and $14,210 for repairs and improvements. The institution is subject to the inspection of the state commissioner of the insane. The state prison at Windsor had during the two years ending Aug. 1, 1874, 151 convicts, of whom 85 were in confinement at the end of that period. The income of the prisons for the two years, chiefly from the labor of convicts, was $28,331; the expenses were $25,081. The convicts are employed in the prison in making shoes; their labor is let to contractors at 70 cents a day for each prisoner. The state reform school was opened at Waterbury in 1866, and removed to Vergennes in 1875. Boys under 16 years of age are committed by courts, parents, and guardians; they receive instruction, and are employed in industrial occupations. The whole number of inmates from the opening to Aug. 1,1874, was 416, of whom 145 were remaining at that date. The current expenses of the institution were $20,088 in 1872, and $21,843 in 1873. The average annual expense of each boy to the state, after deducting earnings, was $85 27. Vermont has no institution for the deaf and dumb, or the blind; but an annual appropriation not exceeding $5,000 is authorized for the instruction of the deaf and dumb in institutions of other states, and not exceeding $4,000 for the benefit of the blind. - In 1874 the board of education was abolished and the supervision of common schools vested in a state superintendent of education, who is elected biennially by the legislature and receives an annual salary of $1,500 and travelling expenses. Among other things, he is required, upon written application of 25 teachers in any county (except Grand Isle and Essex counties, in which the number may be 15), to hold a teachers' institute once a year. In each town a superintendent is elected by the people annually. It is his duty to hold two annual examinations of teachers, and to grant certificates. Principals of graded and union schools are not required to obtain such certificates. The town superintendent is required to visit at least once a year all the common schools of the town, and to make an annual report to the state superintendent, who reports biennially to the legislature. Each organized town must maintain one or more schools; when necessary, the town must be divided into school districts unless it has abolished the district system. The school officers of each district are a moderator to preside in the meetings, clerk, collector of taxes, treasurer, one or three auditors, and a prudential committee consisting of one or three voters in such district; they are elected by the people. By act of 1870 towns are authorized to abolish the district system, and to vest the management of the public schools in six directors elected by the people for three years, one third each year. * To be completed to Swanton, 118 m.
† Including Swanton branch to Canada line, 10 m.
Number of organized school districts. In 1873-'4 teachers' institutes were held in all the counties, and were attended by 982 teachers. The state makes an annual appropriation of $1,500 for each of its three normal schools. In 1875-6 that at Johnson had 4 instructors and 101 pupils; that at Randolph, 9 instructors and 250 pupils; and that at Castleton, 2 instructors and 75 pupils. The university of Vermont and state agricultural college, in Burlington, chartered in 1791 and opened in 1800, has an academical, an agricultural and scientific, and a medical department. The course of instruction in each of the first two departments occupies four years. In the agricultural and scientific department there are courses in agriculture and related branches, theoretical and applied chemistry, civil engineering, and metallurgy and mining engineering. Besides the usual academic degrees, the degrees of bachelor of philosophy, civil engineer, and mining engineer are conferred. All the courses in the academic and scientific departments are open to young women. In 1875-6 there were 25 instructors, of whom 17 were in the medical school, and 153 students, of whom 62 were in the medical school. The university has a library of 16,000 volumes, a valuable museum, and the nucleus of a gallery of art. Middlebury college (Congregational), at Middlebury, was opened in 1800, and in 1875-'6 had 8 instructors, 53 students, a library of 18,000 volumes, and a valuable cabinet of natural history. Norwich university is a military college under the patronage of the Episcopalians, at Northfield. It was opened in 1834, and in 1875-6 had 6 instructors and 41 students. Other prominent institutions of learning are the Vermont Episcopal institute in Burlington, the Vermont conference seminary and female college (Methodist) in Montpelier, Green Mountain seminary (Baptist) at Waterbury Centre, Goddard seminary (Universalist) at Barre, and St. Johnsbury academy at St. Johnsbury. - The total number of libraries in 1870 was 1,792, containing an aggregate of 727,263 volumes. Of these, 1,056 with 405,536 volumes were private, and 736 with 321,727 other than private, including the state library, 14,158; 82 town, city, etc, 52,368; 4 court and law, 3,023; 58 school, college, etc, 38,735; 544 Sabbath school, 182,840; 11 church, 8,517; 3 in charitable and penal institutions, 1,408; and 33 circulating, 20,678. In 1876 the state library at Montpelier had 17,000 volumes. The total number of newspapers and periodicals in 1870 was 47, having an aggregate circulation of 71,390 and issuing annually 4,055,300 copies. The first white settlement in what is now Vermont was made in 1724 by the erection of Fort Bummer near the present site of Brattleboro, which was then supposed to be in Massachusetts. From this fort and from Charlestown, 1ST. H., troops were sent against the French in the war of 1745, and the fertile lands along the upper Connecticut, the Winooski, and Otter creek attracted their attention. The tide of emigration began to set in about 1760, and between that date and 1768 138 townships had been granted within the present limits of the state by Gov. Wentworth of New Hampshire, who claimed the jurisdiction and fee of the soil by virtue of the New Hampshire charter. The country west of the Connecticut was only known at that time by the name of "New Hampshire grants." A proclamation was made by the governor of New York, Dec. 28, 1763, claiming the territory under the grants from Charles II. to the duke of York, and ordering the sheriff to make returns of the names of those who had settled W. of Connecticut river under titles derived from New Hampshire. Gov. Wentworth issued a counter proclamation, March 13, 1764, declaring those claims obsolete, and maintaining the jurisdiction of New Hampshire. New York appealed to the king, who granted to that colony jurisdiction to the Connecticut river. The New York government now attempted to eject and dispossess the settlers from their lands. These proceedings were met by organized resistance on the part of the settlers, acting under the lead of Ethan Allen, Seth Warner, and others. In 1774 Gov. Try on of New York issued a proclamation commanding Ethan Allen, Seth Warner, Remember Baker, Robert Cochran, Peleg Sunderland, Silvanus Brown, James Breakenridge, and John Smith to surrender themselves within 30 days under pain of conviction of felony and death without benefit of clergy, and offering a bounty of £150 for the capture of Allen and £50 for each of the others. The Vermont leaders retorted by offering a reward for the apprehension of the attorney general of New York. The commencement of the revolution caused a suspension of the controversy. In 1776 the Vermont settlers petitioned the provincial congress, then in session in Philadelphia, for admission into the confederacy; but New York opposed, and they withdrew. In 1777 Vermont declared her independence, and in July of the same year again applied to be admitted into the confederacy. Congress hesitated and temporized, and the people became indignant. Meantime the British generals endeavored to induce the Vermonters to declare allegiance to Great Britain. Aware of the importance of gaining time, and avoiding the troubles which would follow a bold decision in favor of the congress which had twice repulsed them, Ira Allen and others kept the British officers inactive till the theatre of the war was changed. In 1781 congress offered to admit Vermont with a considerable curtailment of her boundaries; but the people refused to come in on such terms, and for nine years she remained outside the Union. In 1790 New York revived the old question, and offered to relinquish all claims to lands in or jurisdiction over the state on the payment of $30,000. 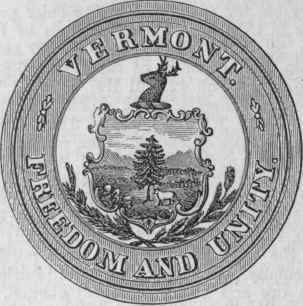 Vermont acceded to the proposition, and on March 4, 1791, was admitted into the Union. But though not one of the confederated colonies, and having no voice in their councils, the "Green mountain boys" had distinguished themselves during the revolution in some of the hardest fought and most successful battles and expeditions. Ethan Allen and his company of 83 men took Fort Ticonderoga, May 10, 1775. Allen and Warner participated in the invasion of Canada, and the former was taken prisoner and sent to England, while the latter with his regiment protected the retreat from Quebec, and adopted the measures which led to the capitulation of the British garrison at St. John's. In the battles on Lake Champlain their obstinate resistance gained them credit; and the two battles near Bennington, which were the primary causes of Burgoyne's defeat and surrender, immortalized the Green mountain boys. After the admission of the state into the federal Union, Vermont prospered beyond most of the other states. In the war of 1812 the governor refused to call out the militia, and issued a proclamation forbidding troops to leave the state. In spite of this the "Vermont volunteers " took an active part in the battle of Plattsburgh and the naval conflict on Lake Champlain, and added to their old renown for valor. As they were not regularly organized state troops, they were not entitled to bounty or pensions, but congress subsequently granted land warrants to the survivors. In 1837, at the time of the Canadian rebellion, a considerable body of the inhabitants of northern Vermont sympathized with the insurgents, and to the number of 500 or 600 crossed into Canada. A well armed British force was despatched to drive them off, and Gen. Wool, then in command on the frontier, gave them the alternative of returning and surrendering their arms to him, or, if they persisted and were compelled to retreat into Vermont, of being shot when they came over. After some hesitation they laid down their arms and dispersed. During the civil war Vermont furnished to the federal army 35,256 troops, being equivalent to 29,052 for three years. - The original constitution was adopted in 1777, and was modelled on that of Pennsylvania. It was amended in 1786 and again in 1793. The convention of 1793 embodied their amendments in the constitution instead of promulgating them separately; and this instrument has since been known as " the constitution of Vermont adopted by the convention " of 1793. The constitution of 1777 provided for a council of censors, consisting of 13 persons, to be chosen every seven years and to hold office one year. Their duty was to inquire whether the constitution had been preserved inviolate during the last septenary (including the year of their service), and whether the legislative and executive branches of government had performed their duty as guardians of the people, or assumed to themselves or exercised other or greater powers than they were entitled to by the constitution. They were also to inquire whether the public taxes had been justly laid and collected in all parts of the commonwealth, in what manner the public moneys had been disposed of, and whether the laws had been duly executed. 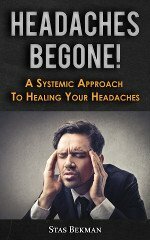 • For these purposes they had power to send for persons, papers, and records; they had authority to pass public censures, to order impeachments, and to recommend to the legislature the repeal of such laws as should appear to them to have been passed contrary to the principles of the constitution. These powers they had for one year from the day of their election. Thirteen councils of censors were held, the first in 1785 and the last in 1869. The constitutional convention of 1870 passed amendments making the terms of the principal state officers and the sessions of the legislature biennial and abolishing the council of censors. Until 1836 Vermont had no senate. Prior to that time the legislative power was vested in a house of representatives and an executive council, consisting of the governor, lieutenant governor, and 12 councillors chosen for one year by the people. This council, which had been created by the constitution of 1777, practically exercised legislative powers coordinate with the house of representatives. The constitution as amended in 1786 provided that all bills originating in the assembly should be laid before the governor and council for their revision and concurrence, or proposals of amendment; and in case such proposals of amendment were not agreed to by the assembly, the governor and council were empowered to suspend the passing of such bills until the next session of the legislature.